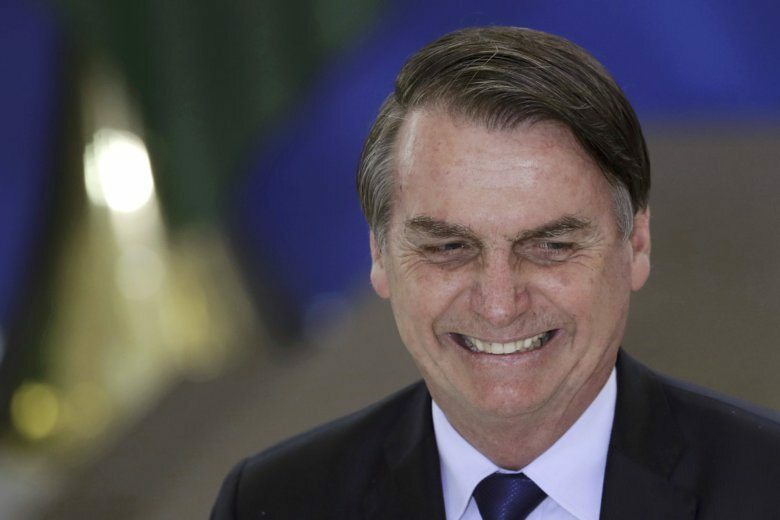 President Jair Bolsonaro (zhah-EER!-bohl-soh-NAH’-roh) is to be honored at the American Museum of Natural History in May, invited by the Brazilian-American Chamber of Commerce that rented space there for its annual gala. Mayor Bill de Blasio and some museum staff members are demanding he stay away because Bolsonaro favors mining in Brazil’s Amazon rain forest, as well as logging and fossil fuel exploration. Opponents say the New York scientific institution dedicated to preserving nature should not allow such a politician to appear there.